We want to take you on a fantastic voyage through the doctor’s office of the future. Take a tour through athenahealth's space as if you were visiting the doctor. Ok, so maybe we’re not sending a team of researchers into the human body to save a brilliant scientist from sudden death… but as healthcare designers we do create tools and systems that save lives every day. 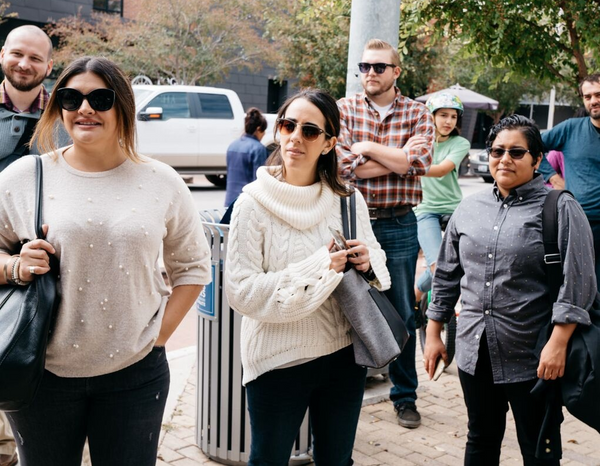 Here in Austin, our design teams focus on creating new and innovative tools for the future of healthcare and we want to take you on a fantastic voyage through the doctor’s office of the future. Visitors will be taken through our space as if they were visiting the doctor. Immersed in interactive stops, participants will be given roles that demonstrate how each person, from front-desk staff, nurse practitioner, to physician plays an integral role in the overall health and wellness of you, the patient! Located in the renovated Seaholm Power Plant, athena’s Austin office space is a historic landmark which now houses over 150 designers, developers, and product leaders. Designing for healthcare often means discovering how to open networks where there were silos, doors where there were barriers, and communication where there were pending faxes. At athenahealth, we are leveraging design to bring a human-centered approach to our work. We want to harness the Austin design community’s diverse and innovative energy to disrupt the healthcare industry. "athenahealth R&D office (Seaholm Power Plant) 800 W. Cesar Chavez St. Austin, TX 78701"